I have been busy these past couple of weeks and haven't had a chance to blog. I have a few things to share with all of you.. 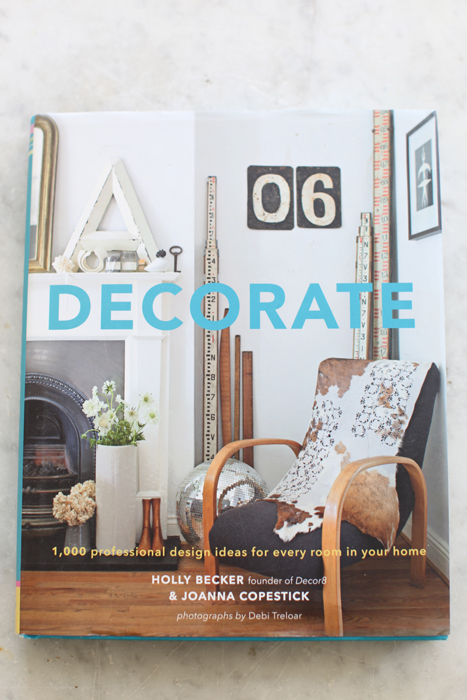 This book is filled with so many useful and beautiful decorating ideas you won't be able to put it down. 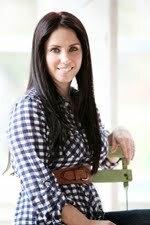 The authors of this book, provide you with decorating ideas using many different styles of homes. anyone can pick this book up and find great ideas (more then a 1000 ideas) for their home. The second book is Pale and Interesting, by Atlanta Bartlett and Dave Coote. you will learn how to create a stylish and comfortable home using pale shades of color. I have learned so much valuable information by reading Atlanta Bartlett's books. Really you can't go wrong purchasing one of Atlanta Bartlett's books. I wanted to share a few pictures of my cafe au lait bowls. 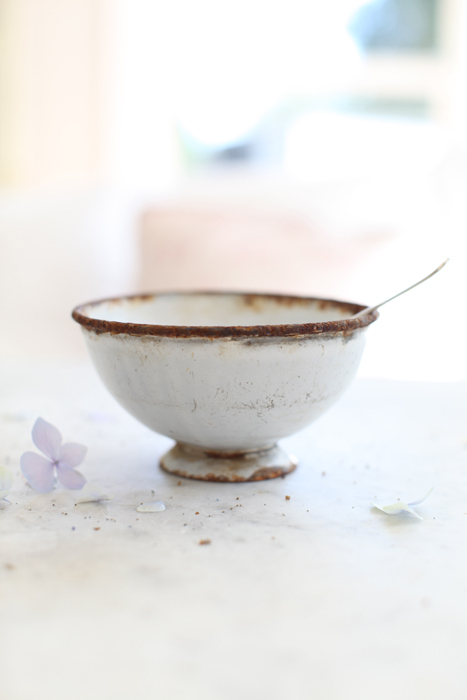 I decided to list some of my cafe au lait bowls in my shop last week. to start selling them in my shop. 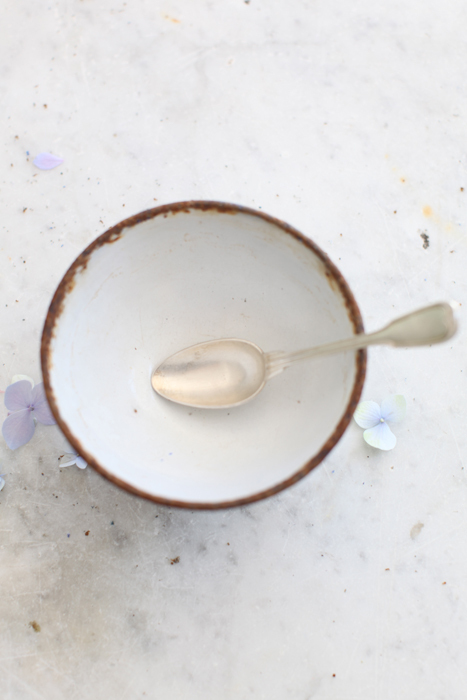 Cafe au lait bowls are used in France to serve coffee or hot chocolate. 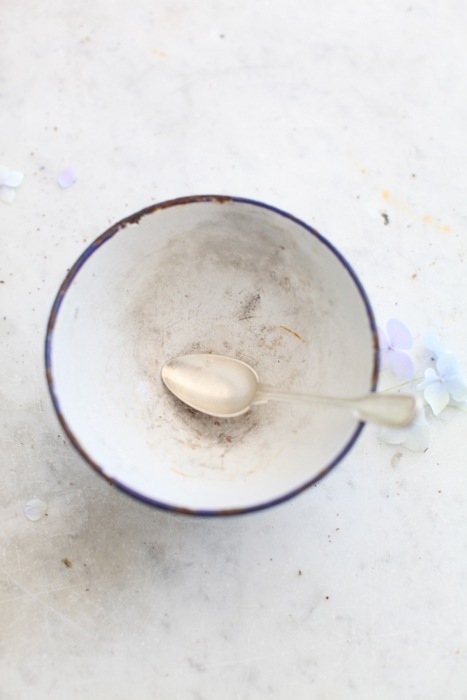 I fell in love with this set of enamelware cafe au lait bowls. I think they look so beautiful stacked together in a grouping. I happen to love both styles. 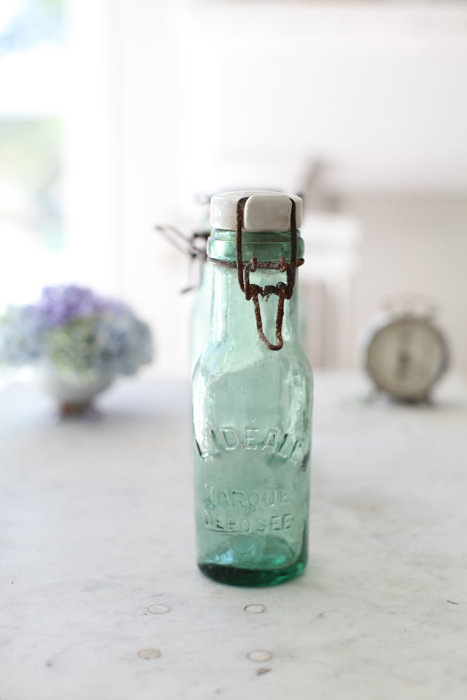 These porcelain topped canning jars are a favorite of mine. 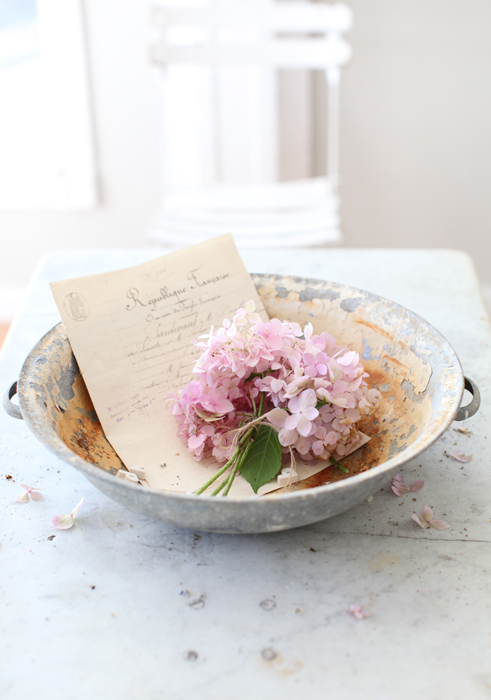 I also added this rustic french zinc bowl to my site last week. This bowl would have been paired with a zinc pitcher. 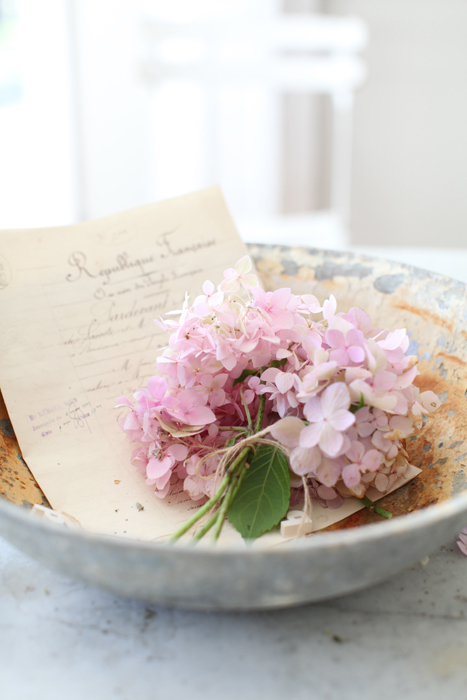 I like how this rustic zinc bowl looks paired with the marble topped table. 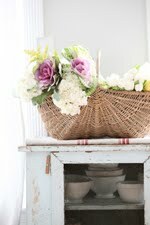 I will be adding more vintage french baskets to my site over the next couple of weeks as well. 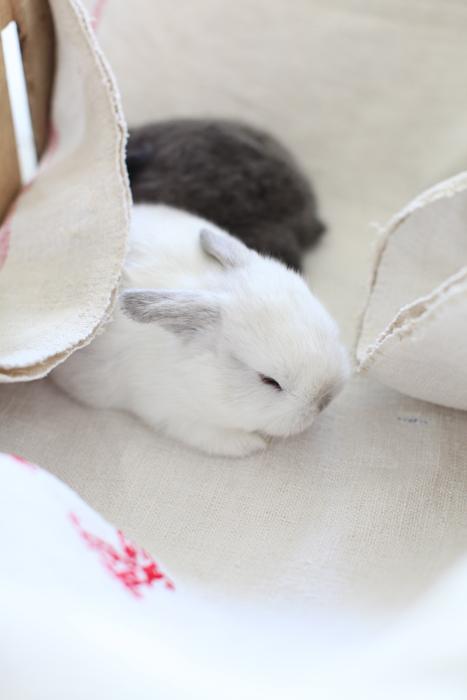 I just had to share a few pictures of Bethany's lop-eared bunnies. Our fair is at the end of July, so I might be a little absent over the next couple of weeks. Beautiful photos--and the bunnies--oh my! Just looking at your pictures makes me want to buy everything in your shop! 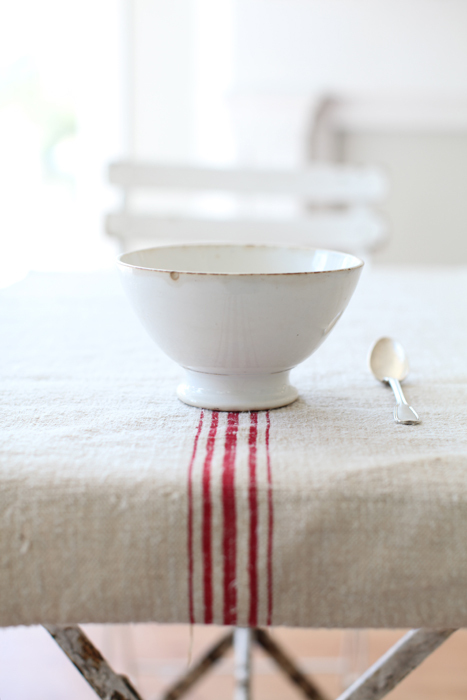 Cafe au lait bowls are so beautiful and functional-the perfect pair. Thank you for sharing these books with us. I am always searching for good decorating books. 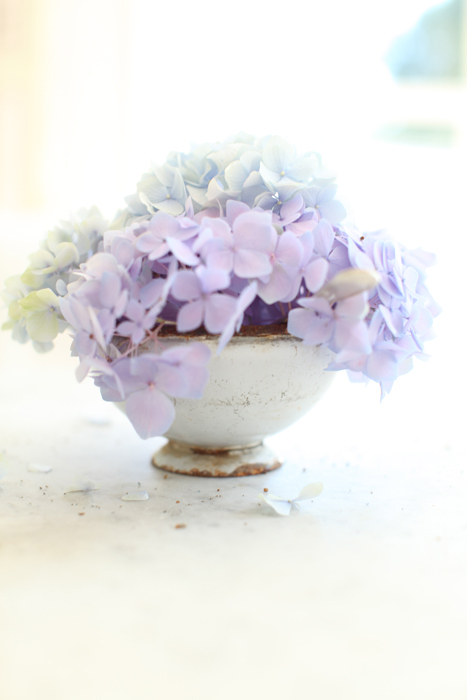 I like using bowls as vases, too! What cute little bunnies! My daughters want to have little bunnies too! Your latte bowl is a very beautiful treasure!!!! These photos are lovely. 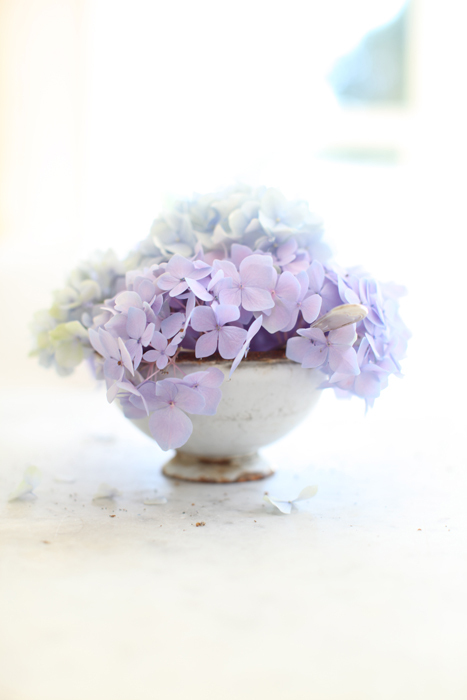 I love the versatility of cafe au lait bowls. Yours are so pretty! 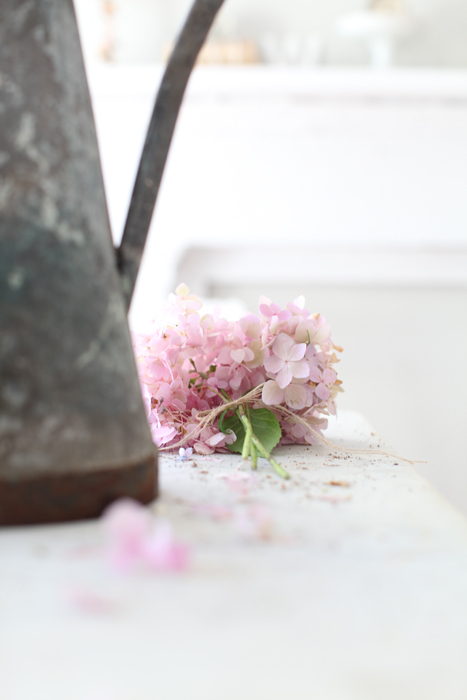 Thanks for a gorgeous post. 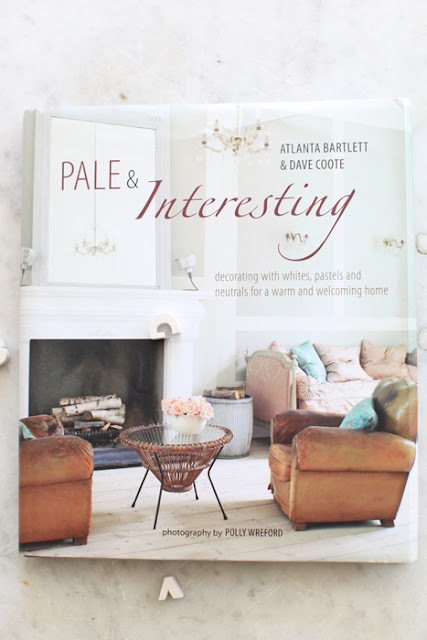 I just checked-out Pale and Interesting from the library. I like it! I will need to look for the other one because I had not heard of it. Good luck at the fair! I enjoyed your pictures. That pitcher is yummy! Speaking of yummy, one of my little guys is sitting here with me and he LOVES the white bunny!! Good luck on the horse shows! Beautiful, beautiful post... and then at the end you add baby bunnies!, i mean what could be better than that! I'll take one of everything! love all the beautiful pics you've shared. the bunnies are so cute! 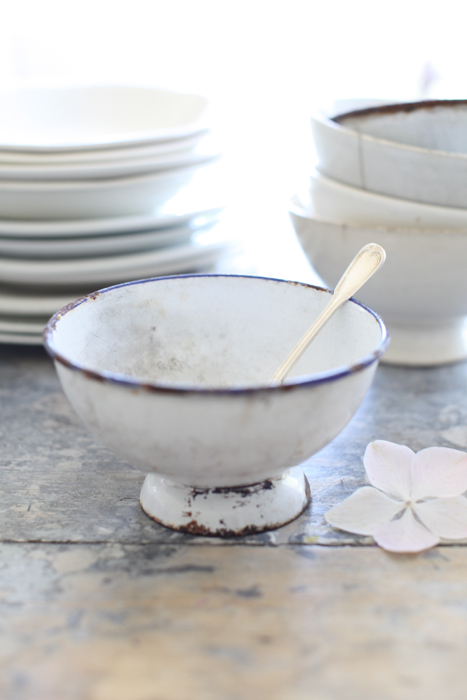 I have some enamelware cafe au lait bowls, and I just love them. So very versatile, as you've proven here. And those bunnies, oh my! I hope you're doing well, I know life is crazy busy on your end. Beautiful photo's! Last week I ordered Pale and Interesting. I've been wanting it for months now - can't wait to receive it! Also, what an adorable bunny - best wishes at the fair! What a wonderful post! 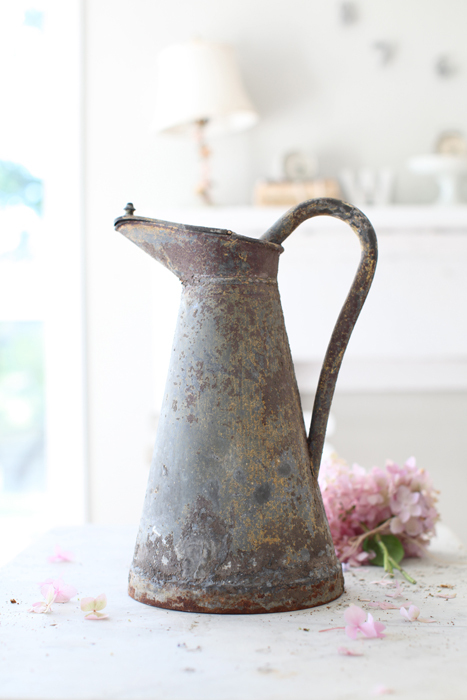 So many pretty new things in your shop! Bethany's bunnies are most precious! Love your photos, as always, Maria. I know what you mean about being busy with the kids this time of year especially, our boys show Californian rabbits, and dairy and beef calves. It's all so dreamy over here! Those bunnies are my favorite of the post. Best wished to your children at the fair. It is such a wholesome lifestyle. I always wanted my children to be involved in 4-H and FAA...they tried, we moved, and life just happened. One of my daughter's has been spending the summer in rural Nebraska and enjoying every minute of it. I just received my copy of Pale & Interesting in the mail this week. I'm saving it for the Lake this weekend, but it hasn't been easy resisting what I know is going to be so inspiring. PS. Your daughter's rabbits are too cute. Yup...I brought some of those bowls home with me from France...gotta get them into the shop! 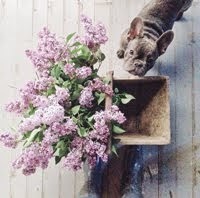 Lovely things and photos, but those bunnies are so sweet I want some, now! Gorgeous!! thanks for sharing with us. And the bunny is truly the cutest thing I've ever seen!! 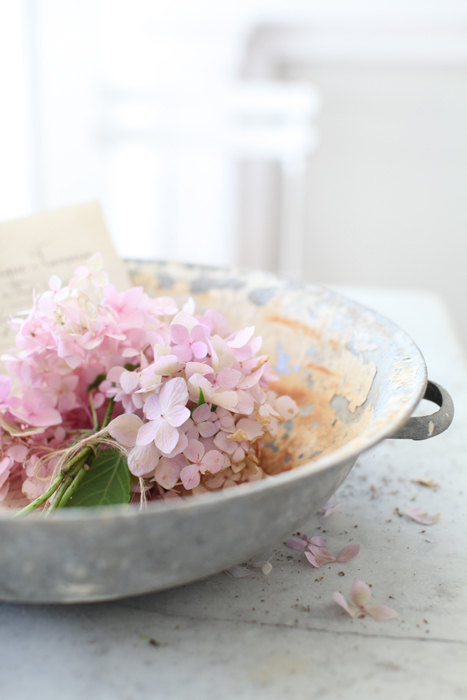 I love the light and the softness in your photographs. So soothing and lovely! Thankyou for sharing. your photos are so beautiful!!! I love how serene and relaxing. 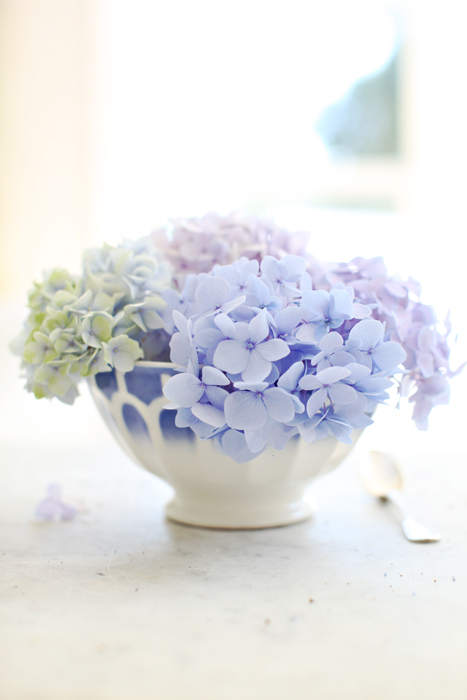 Those dishes are just perfect and with the hydrangeas, adorable...I will be stopping by your shop! Oh my god!! Your photos are so beatuiful!!! I would gladly put them all om my walls! Amazing! Your daughters bunnies are adorable! Thank you for sharing such great inspiration! Keep up the good work! Hi Maria....I adore your photography! 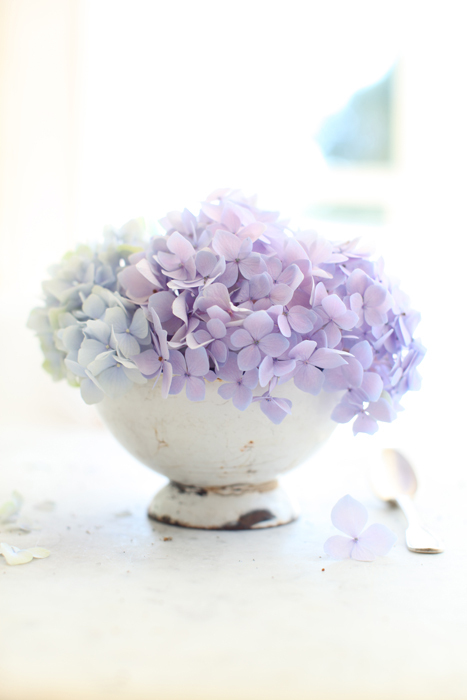 This blog is where I go for relaxing, dreamy, inspiring eye candy! Thank you for sharing the new design books. WOW! 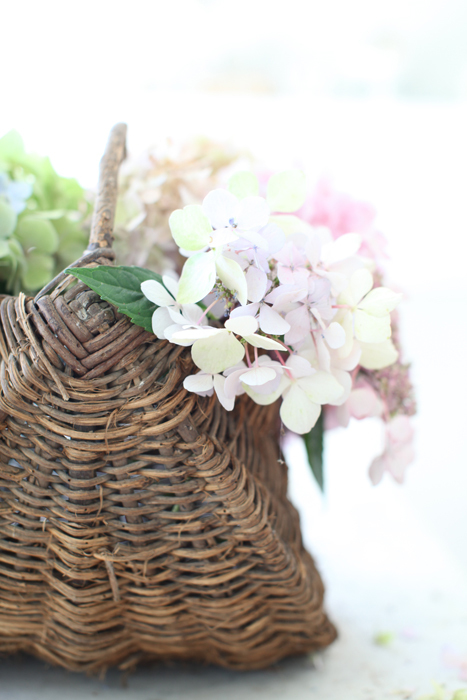 Your hydrangea photos are just breath-taking! 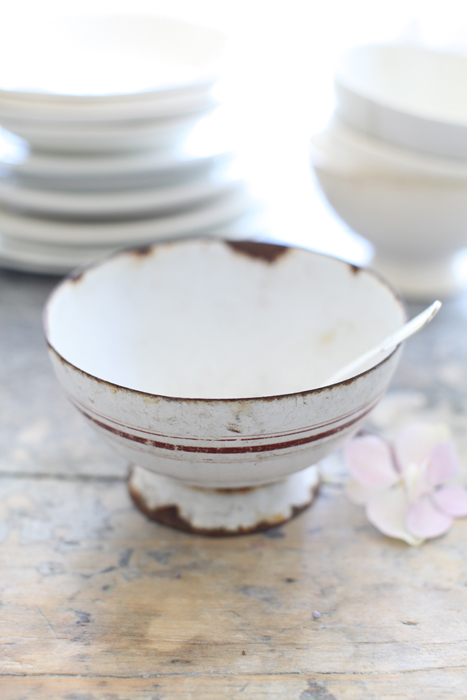 My favorites...cafe au lait bowls and zinc washing bowl....so beautiful!!!!!!! thanks for posting such gorgeous photos! I enjoy them so much! You are an amazing photographer! Such beautiful shots! 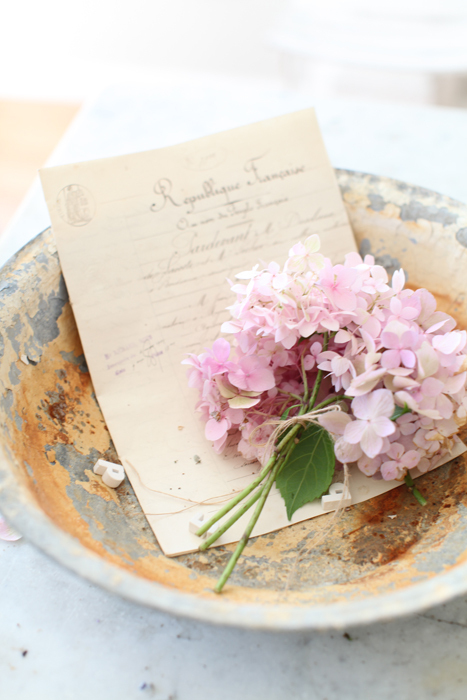 Fabulous books and fabulous photos - thanks for this bit of respite during my hectic day. Your french latte bowls are incredible! These photos are so beautiful, Maria! I absolutely love your use of back lighting in your photography. Your bunnies are so cute!! Have fun at the fair! Hi Maria! I have been absent for a while. Love your photos as usual. The French magazine that features your home is Maison Chic. Sorry I thought it was Belgian since I found it in Belgium. I am so impressed! 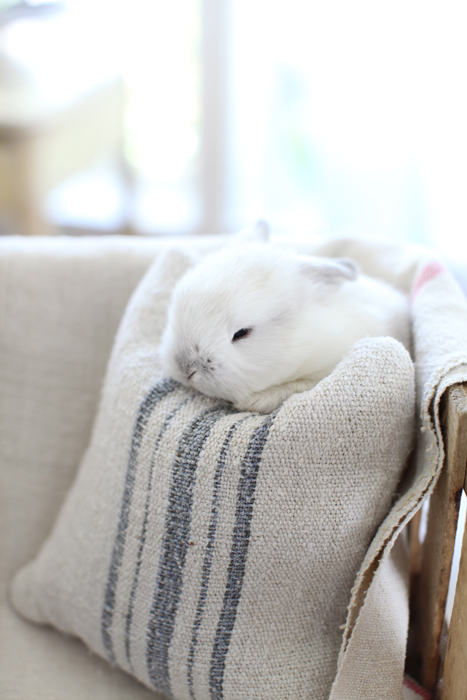 The bunnies are just so adorable! Atlanta's book is on my wish list! Going to take a peek in your shop to look at all your treasures! Both books have been on my Amazon Wish list for some time! Thanks for the kick in the pants to go get them :) Have fun at the fair! 'n good luck to those kiddos! Oh Maria, I just got back from vacation and I'm so bummed I missed out on a few new items you added to your shop. They are all so lovely! How adorable are those bunnies! Your photos are beautiful as always! Good luck to your family at the fair! 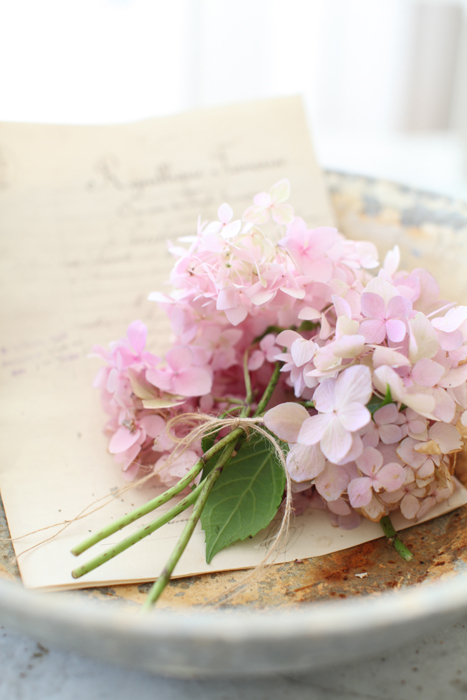 Your pictures are always so beautiful and delicate! Have a great summer too! 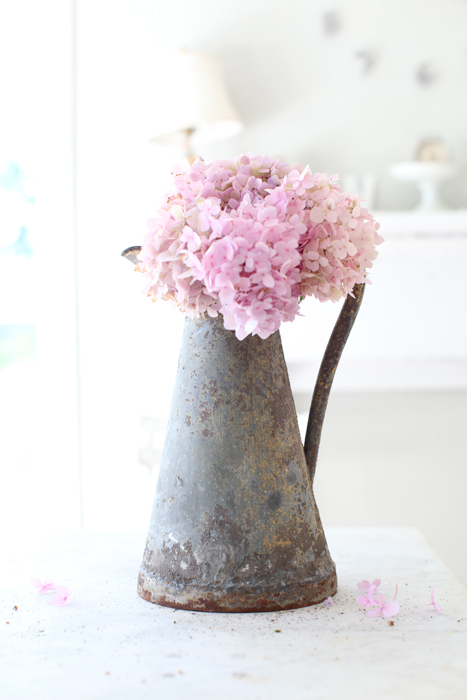 Lovely photos and the flowers is my favorit. Picture after picture.... one prettier than the last. YOU should have your own coffee table book, really! Those bunnies are too sweet. I just wanted to say that I really love your pictures. There is something nordic about your home wich is beautiful and something I can connect to. And those bunnies - how cute are they! Exquisite photos :)oh so pretty !!!! I just came back from our vacation in France. We had a wonderful time. Love your pictures as allways. Hope you are allright and your family is well. Maria its always so beautiful here.. I love those bowls..how unique! And Ive had my eye on the Pale and Interesting book online. The other one looks good too! You always take such beautiful pictures! Thank you too for sharing the new books...off to my local bookshop to browse :)! I learned so much valuable information by reading Atlanta Bartlett's books. It includes how to keep your home simple, stylish, real, and relaxed, also how to create a stylish and comfortable home using pale shades of color. Oh, your photos are always so beautiful! I love those bowls. 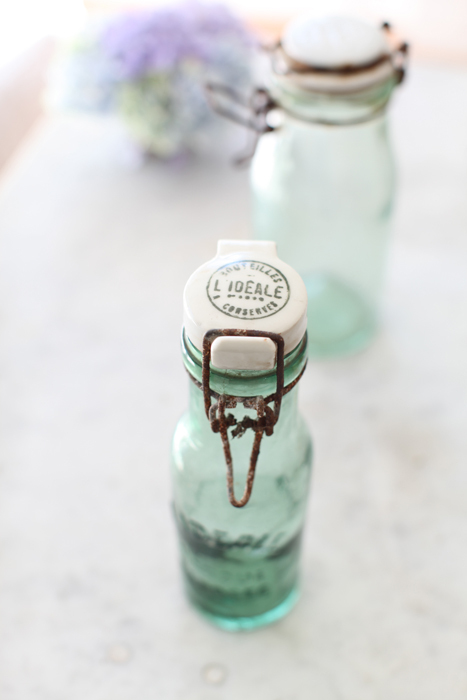 I have some white ones from Anthropologie. I'll have to take a peek at your shop and see if you have any left. Your photo's are incredible!!! I totally love the bag and hope I win it, but if not, i would LOVE to purchase it!!!! Pretty much impressive. Looking extra inspiring. I love how you perfectly put together great stuffs to create a total perfection. Hello there Maria..Are you creative or are you creative?Im amazed with the way you stacked the bowls and flowers.Even the lighting in the pictures is making me stare. I did a double take with the bunnies:) Adorable.TLC.Good Luck! WOW!.. I fell in love with the flowers and all the decorations. So romantic and refreshing. I love it!